DOROTHY GALE, American astronaut, awakes from cryo-sleep to discover that her ship has crash-landed on an asteroid populated by a society of Munchkin-sized SPACE ALIENS. Accompanied only by her hallucinations of an iron-jawed LUMBERJACK, an anthropomorphic LION, and a dancing SCARECROW, she traces veins of YELLOWISH MINERALS to their hidden source—the secret lair of ANOTHER STRANDED DOROTHY from an alternate universe! If only we knew how to make a gingham spacesuit! 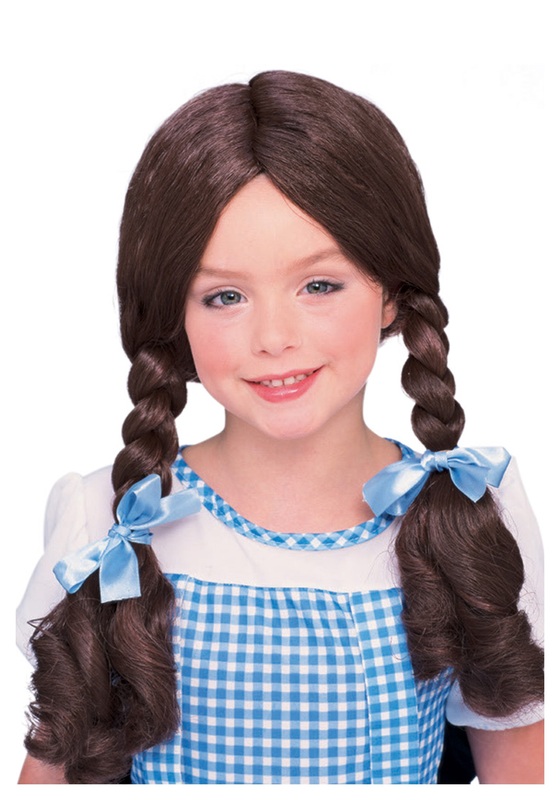 Well, it’s like we said: you should probably stick to the original Kansas-girl look that inspired this Kids Dorothy Wig. It’s the perfect way to pay homage to a classic without reinventing the wheel! I am using this wig on a 7 month old. It's obviously a little big for her but it will work great & it's adorable for a Dorothy costume. Everyone thought is was my daughters real hair!